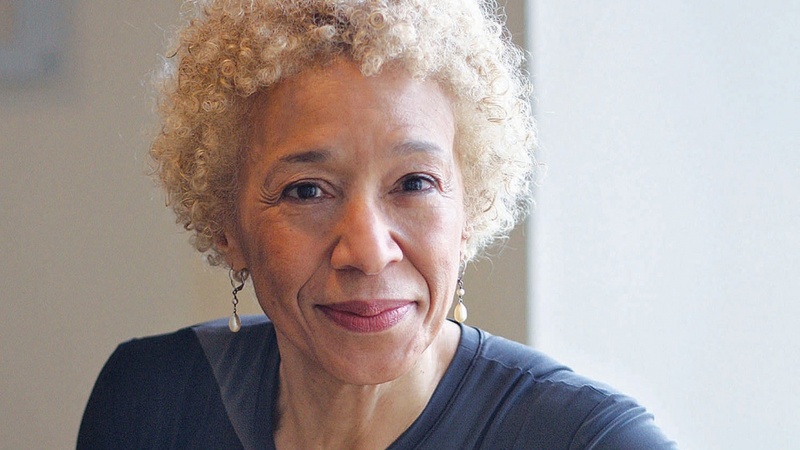 Pulitzer Prize-winning writer Margo Jefferson will discuss the role of individuals in communities and society as this year’s Kritikos Lecturer. Her talk, titled “From ‘I’ to ‘We’: The Role of the Citizen-Critic,” is the final lecture the “We the People” series staged by the Oregon Humanities Center. She will speak in Eugene on Wednesday, May 30, at 7:30 p.m. in Room 182, Lillis Hall and at UO Portland on Thursday, May 31, at 7:30 p.m. at the White Stag Block, 70 NW Couch St.
One of the questions Jefferson asks is how do people teach themselves to go beyond the limits of their own experience. The daughter of a prominent physician and social worker-turned-socialite mother, Jefferson grew up in an upper-middle class black neighborhood of Chicago in the 1950s and ’60s. She writes about her experiences growing up in postwar America as a member of a privileged African-American family in her memoir, “Negroland,” which won the 2015 National Book Critics Circle Award for Autobiography, the International Bridge Prize and the Heartland Prize. Jefferson currently teaches writing at Columbia University School of the Arts. Her previous book was “On Michael Jackson.” She has been a staff writer for The New York Times and Newsweek, and has published in New York Magazine, The Nation, The Washington Post, The Believer and Guernica. Her essays have been anthologized in: “The Best American Essays, 2015”; “The Inevitable: Contemporary Writers Confront Death”; “What My Mother Gave Me”; “The Best African-American Essays, 2014”; “The Mrs. Dalloway Reader”; “Black Cool”; and “The Jazz Cadence of American Culture.” She also wrote and performed a theater piece, “Sixty Minutes in Negroland,” at The Cherry Lane Theatre and The Culture Project. Both lectures are free and open to the public. The Eugene lecture will be followed by a book sale and signing. For disability accommodations, which must be made by May 23, or for information, call 541-346-3934.